For months in the late spring and summer of 2010 images of the BP Deepwater Horizon oil spill in the Gulf of Mexico were everywhere: on televised news, in the paper, and online. 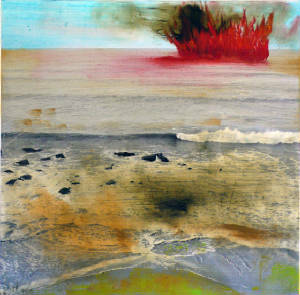 Images of oil gushing into the ocean under extreme pressure where the pipeline had ruptured, or lying on the surface of the water in kaleidoscopic slicks, were at the same time terrible and beautiful. 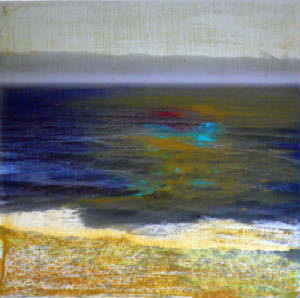 In this series I envision the spill using images of the California coastline taken over the last decade. Gulf Oil Triptych, left, 2010. 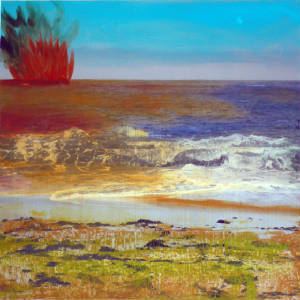 12"h x 12"w.
Gulf Oil Triptych, center, 2010. 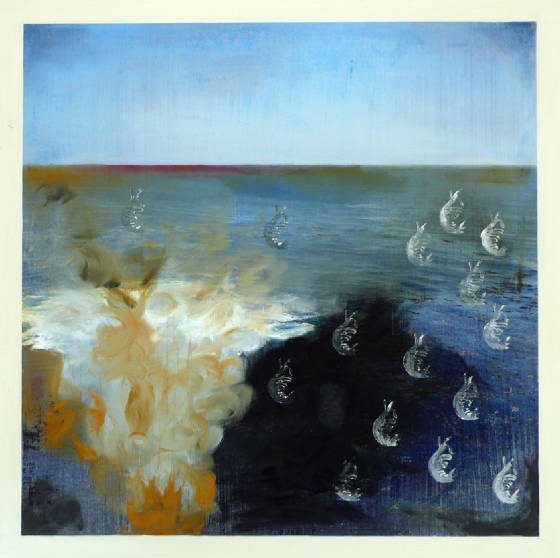 12"h x 12"w.
Gulf Oil Triptych, right, 2010. 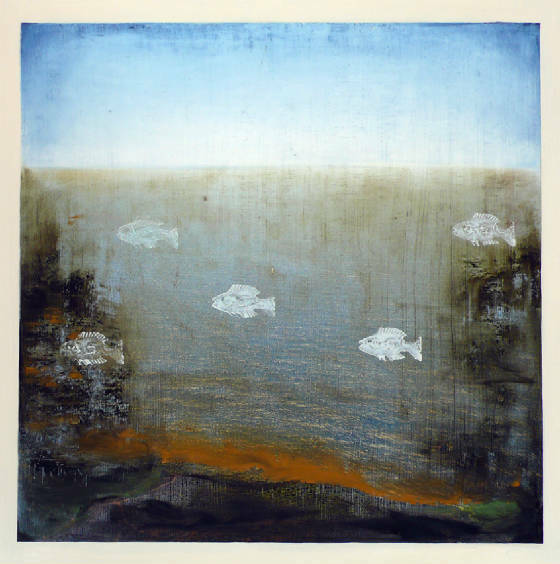 12"h x 12"w.
Food Chain (Fish), 2010. 18"h x 18"w.
Food Chain (Shrimp), 2010. 18"h x 18"w.